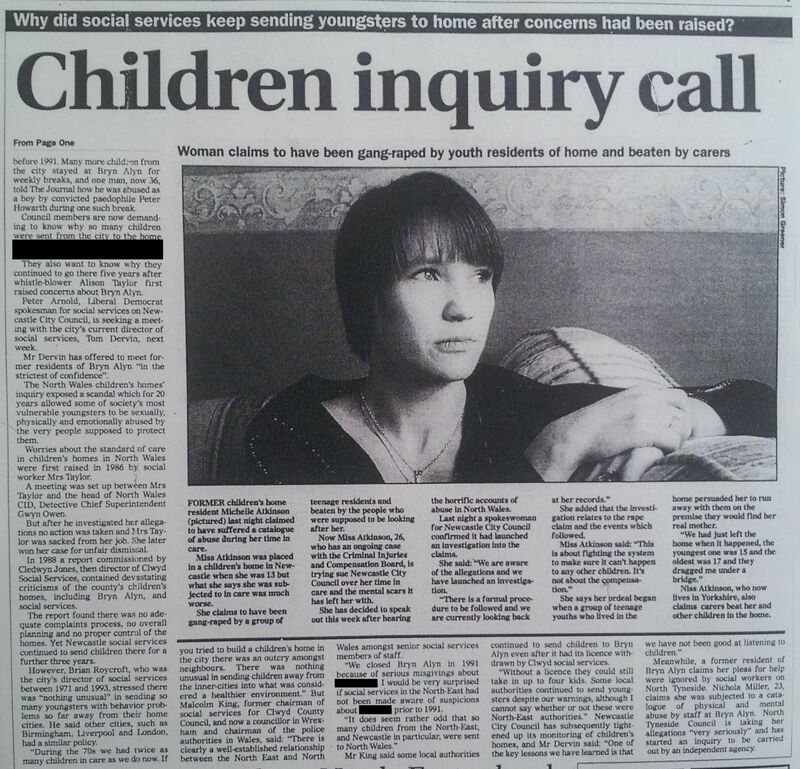 The importance of establishing a timeline database to include the various police investigations and other inquiries is reinforced by the Daily Mail front page headline article on the same morning – Even Worse– suggesting the potential of 11,000 victims based on the Lambeth-centred inquiry Operation Middleton and which also referred to Operation Care Merseyside and to an operation in Birmingham. 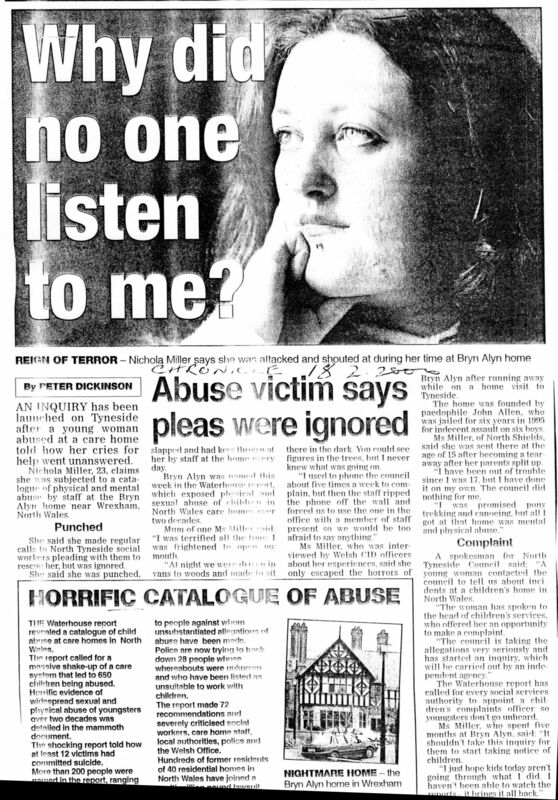 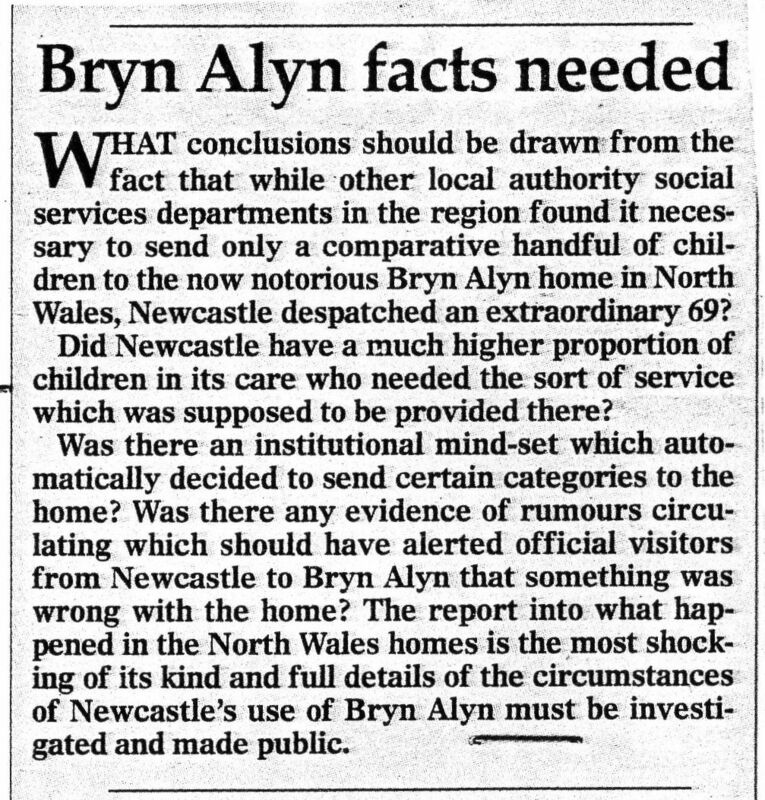 The Newcastle Chronicle that evening asked for one victim placed at Bryn Alyn by North Tyneside – Why did no one listen to me? 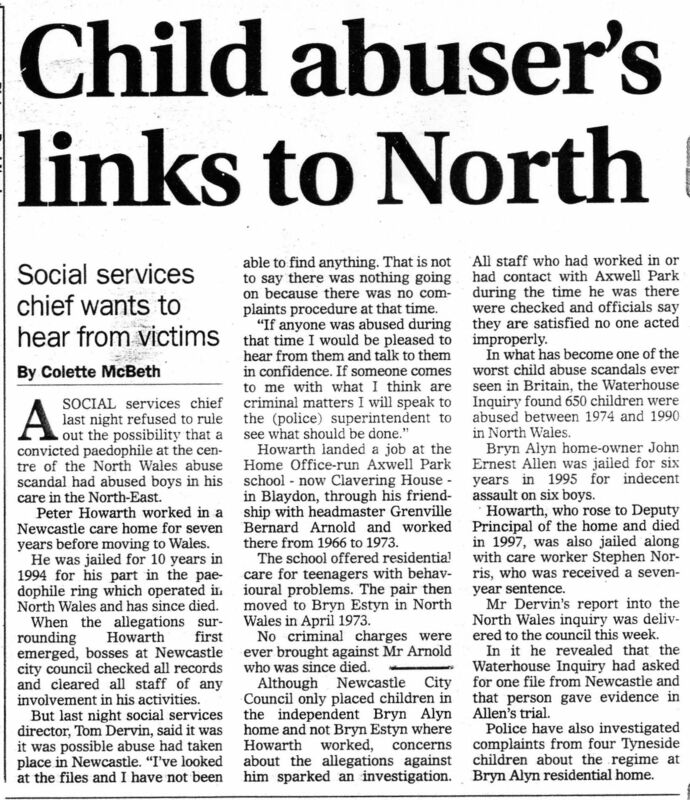 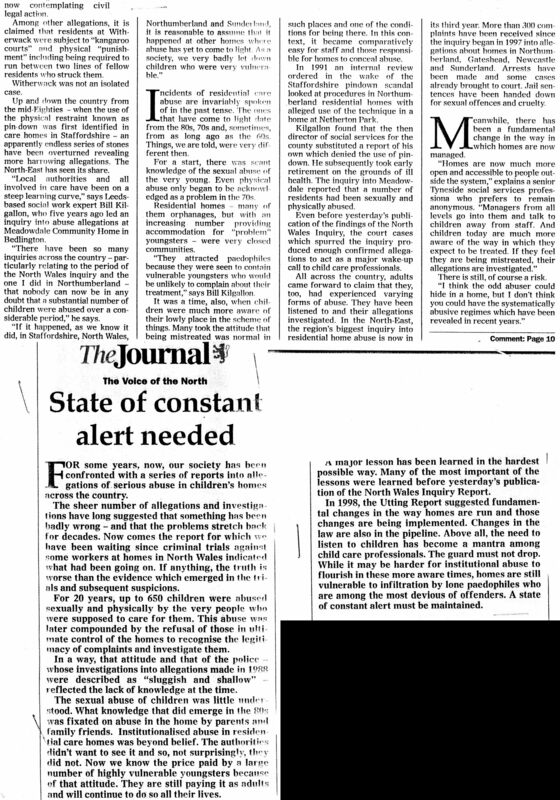 The 19th saw the Journal report the story of Michelle Atkinson in relation to a Newcastle residential care home. 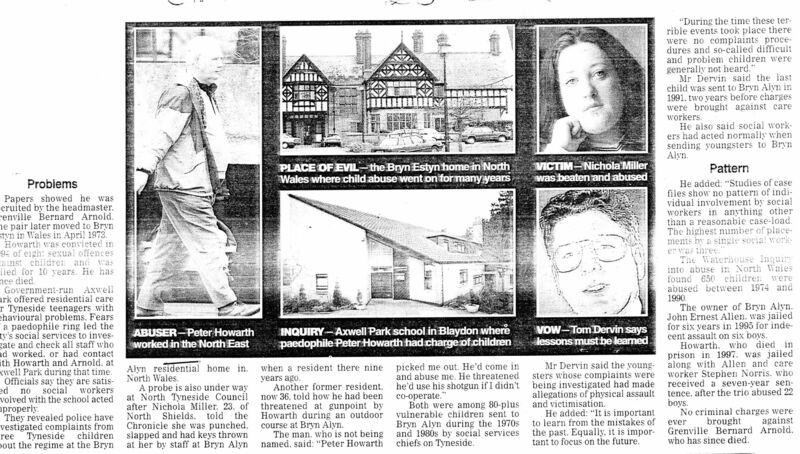 On the same date the Journal reported that David Brushett, the Welsh Office Children’s Inspector who had worked at the former Approved School, Aycliffe County Durham joint secure remand centre and community home with education on he premises from 1967 to 1974 when he had become deputy Headmaster at the school part of the establishment. 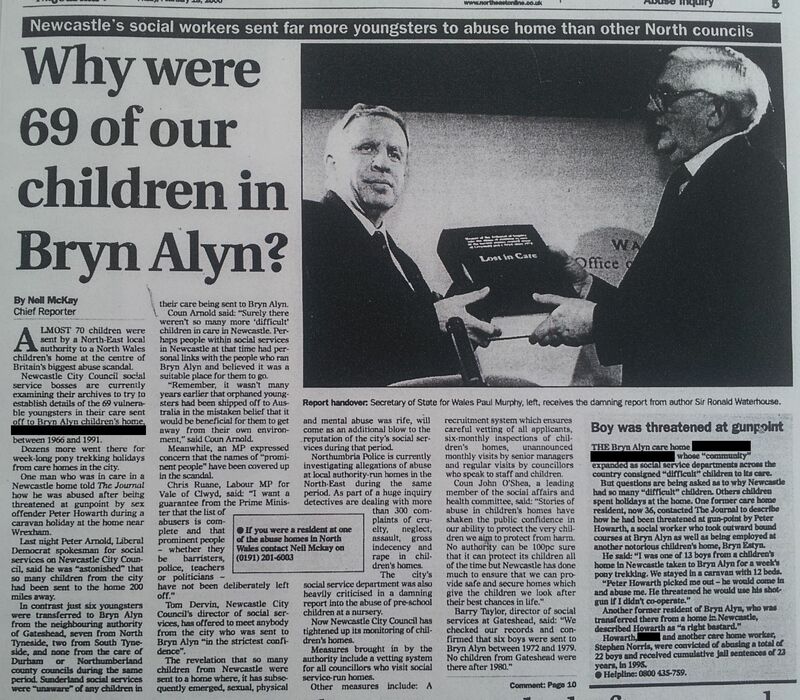 Why were 69 of our children sent to Bryn Alyn? 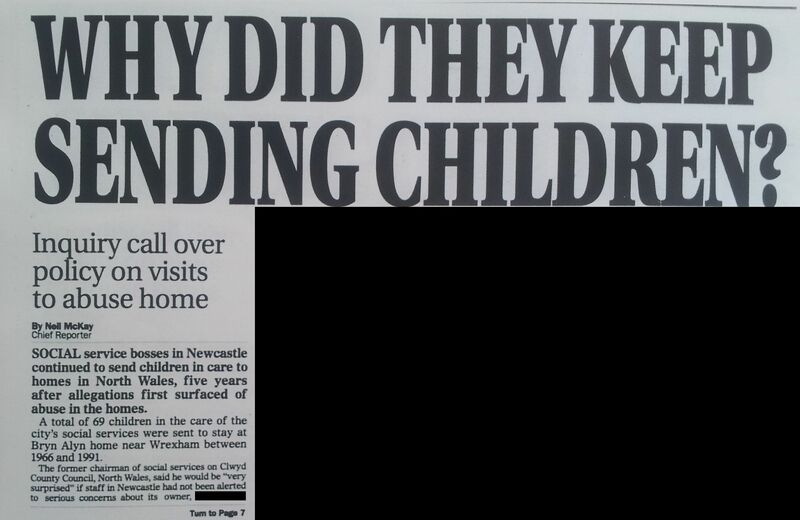 Why did they keep sending children?